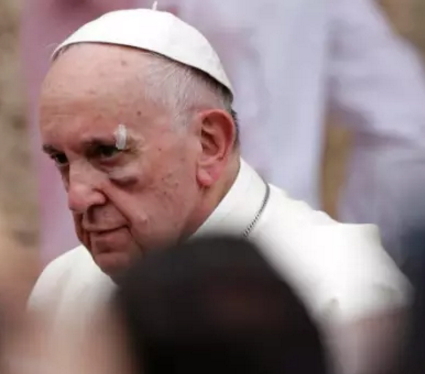 Pope Francis sustained minor facial injuries yesterday during his visit to the country of Colombia. The first Latin American Pope was on a visit to Colombia yesterday when he hit his head against the pope mobile after the driver of his pope mobile suddenly applied brakes to prevent an accident. 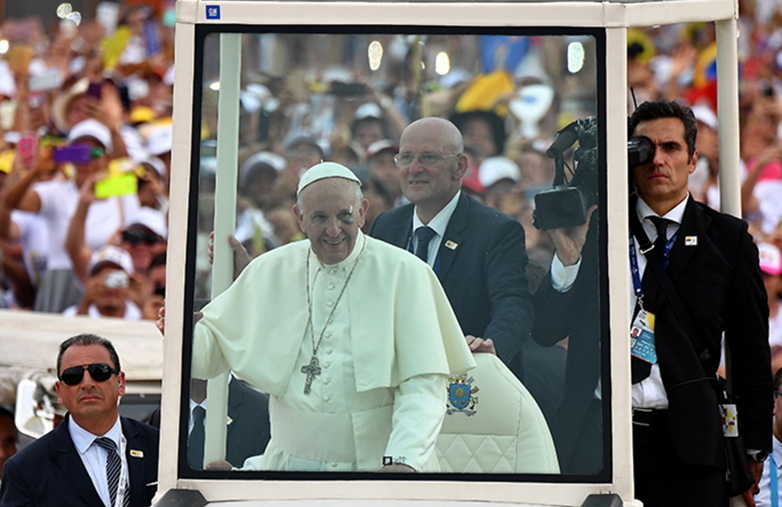 Sadly the pope who was standing at that time bumped his head against the vehicle barrier after losing his balance. 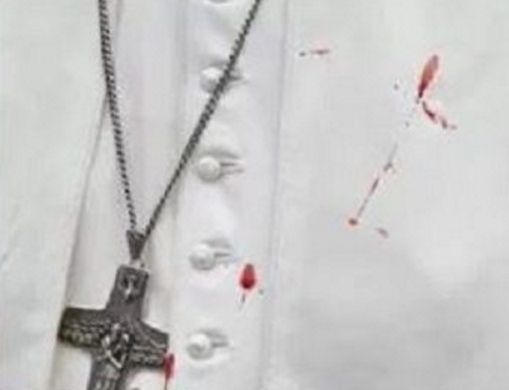 The 80-year-old sustained cut to his left eyebrow as blood stained his white cassock. 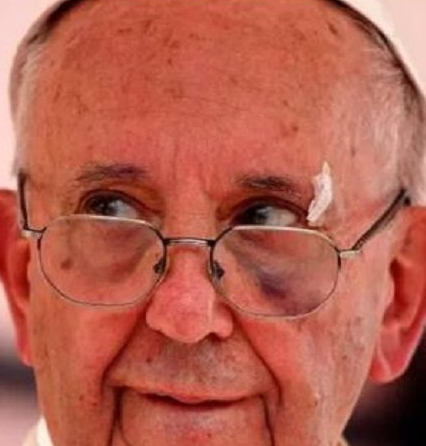 The pope who received ice treatment yesterday made a light joke of the incident when he said: “I was punched, I’m fine”. 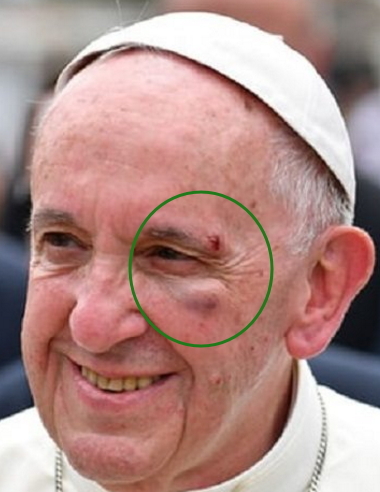 Later in the day, the pope was seen with swollen bruise as the skin under his left eye blackened. Is a religion man weyris have power pass away all the religion mens whether is pastor or bishop. Pope is have power pass away even some president. Pope is have power pass away Buhari or Mugabe or Kofi. 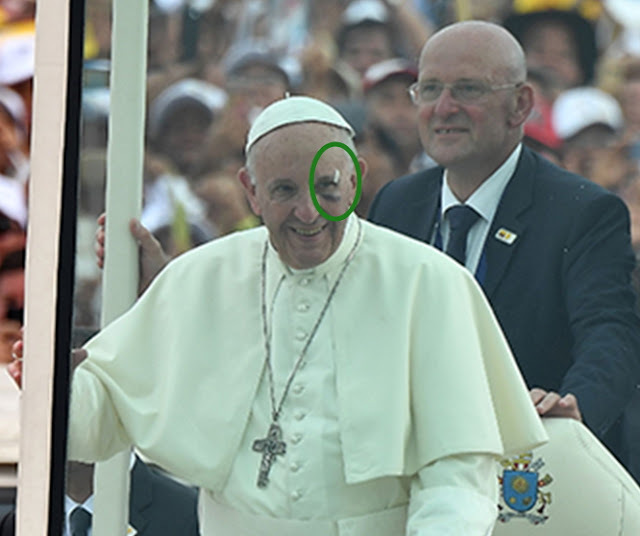 It even small thing weyris Trump use to have power pass away pope. A beg make the Pope no wound. Any injury at that age can’t be comfortable for the wounded. Wish him speedy recovery!